Some people think that Manhattan and New York City are synonymous, but they are not. 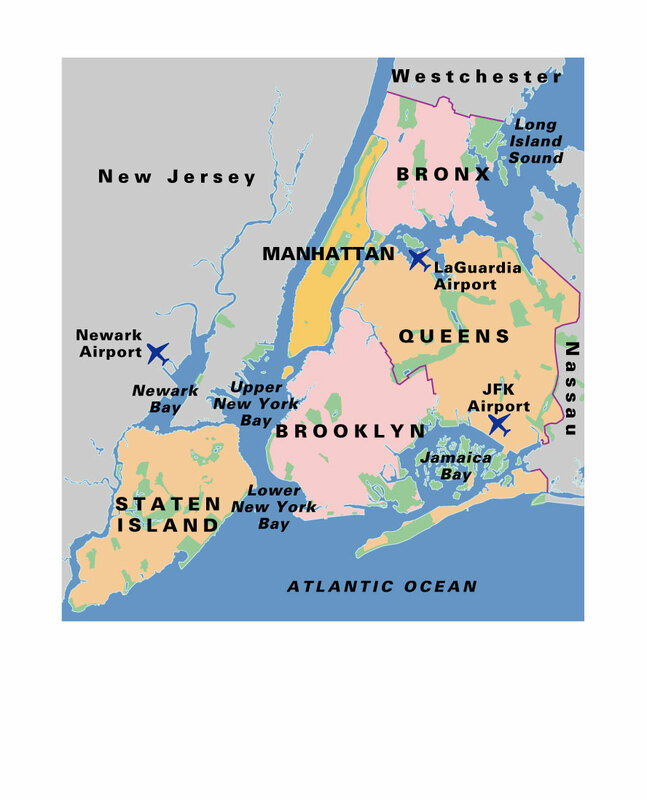 Manhattan is only one of the five boroughs that make up New York City; the others are the Bronx, Brooklyn, Queens, and Staten Island. There's much to see and do in the other boroughs but exploring Manhattan thoroughly could take weeks in itself. Don't forget to make time to see the sights of scenic Upstate New York as well. See the left navigation for details. To find the cross streets of a particular address, use the handy NYC street finder. The Panorama of the City of New York in the Queens Museum of Art is the world's largest architectural model. Built by toymaker elves, it contains 895,000 individual structures at a scale of 1 inch equals 100 feet.